How do you allow hundreds of museum visitors to create their own Muppet-like creatures? Better yet, how do you do that without glue—and in such a way that they can be taken apart and remade by someone else? That is something we are currently experimenting with in Spark!Lab. One of our new activities for our theme "Play" is "Create a Lifelike Character." While approaching how to make the activity workable, we narrowed in on a few key components that should make the activity possible. I have a feeling that this activity is one that will need quite a bit of tweaking, but it is certainly off to a good start. 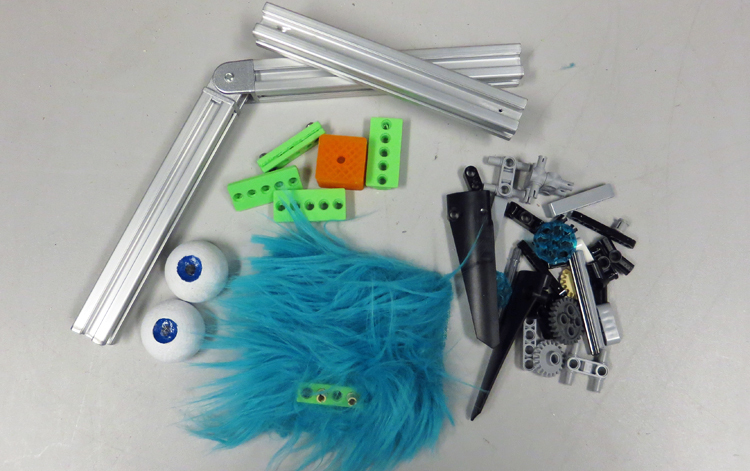 The key components in our Lifelike Character activity are small extruded aluminum beams, blue fur, Legos, and some 3D-printed parts. These pieces all interface with each other through some custom-designed components. 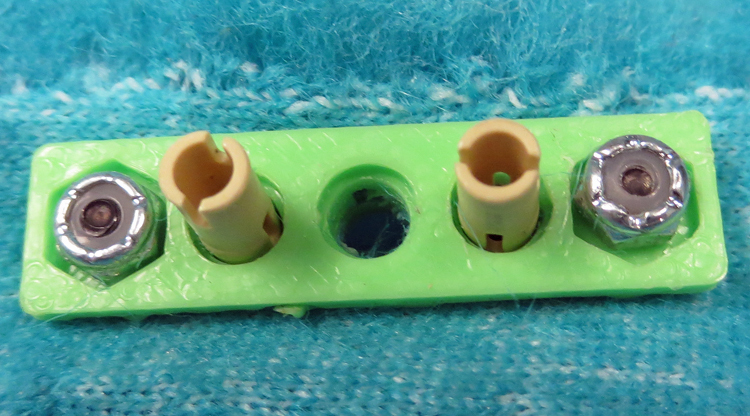 The first of these was a Lego connection point that fit into the grooves of the extruded aluminum. This allows for connection points anywhere along the length of the aluminum parts. The aluminum, along with the Legos, is the support structure for the creatures that will be created. 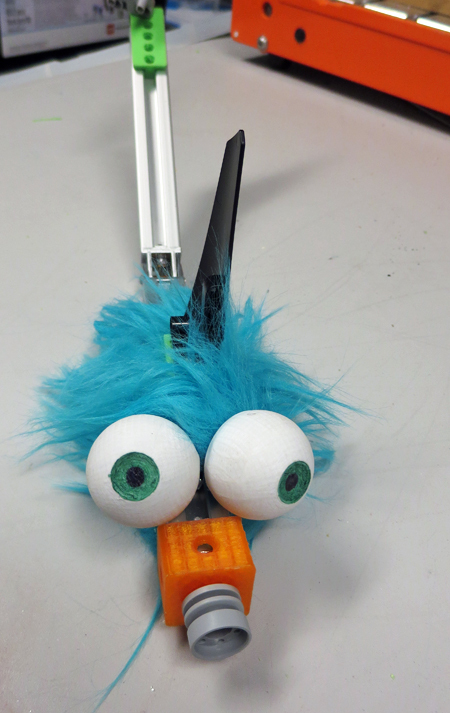 With our interface, we should see things that look like Muppet/robot hybrids. This is intentional for two reasons. First, it should just look way cool. Second, it is meant to open a new window of what could be used together, hopefully inspiring our visitors to look at things through a new set of eyes. Like all of our activities, this one will be a prototype when it hits the floor. I am anxious to see what types of creative outcomes we get. As with any activity, my hope is that this one will involve lots of photo ops for families. That is one of the measures of success I like so much about working in a creative space.